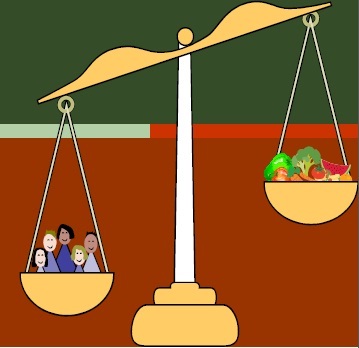 A revolutionary approach to harness the power of agriculture to ensure sufficient food protection and sustainable passive income for the entire generation. 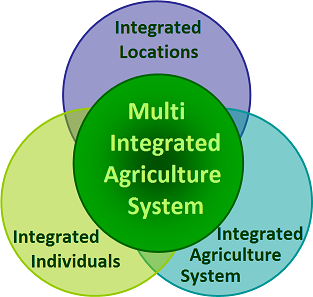 An innovative Multi-Integrated Agriculture System to extract maximum benefit. An innovative integrating concept to gain maximum value and advantage. Like minded individuals are sourced and legaly bound together as integrates by Green Belt Developer India Private Limited to reap the benefits of Multi-Integrated Agriculture Concept. The whole idea is to integrate like-minded individuals as integrates and facilitate them to own ONE ACRE of multi-integrated undivided agricultural land in a minimum of a 100 acres of land in one location and replecating the same in hundreds of locations. Green Belt Developer India Private Limited will dedicate itself to develop the above land by implementing its revolutionary Multi-Integrated Agriculture Concept for the benefit of integrates. Food crisis is the next big concern that is going to be a threat to the world. Already many countries have declared themselves to be under serious food crisis. The recent surge in food price is one of many indicators of the magnitude of the problem that we are up against. With normal agriculture increasingly becoming difficult due to escalating operational and manpower costs, there is a steep fall in agriculture production. With growing population in our country, the demand for food is going to be high. The need of the hour is an affordable and guaranteed agriculture system with efficient process mechanism and a long term sustainable revenue model. Our concept binds likeminded individuals as integrates and facilitate them to own a huge area of integrated undivided agricultural land at an affordable price. Integrated agricultural system executed in this land ensures sustainable revenue and a solution to the agricultural needs of the Integrates and to their future generations. As every one of us may not have exposure or expertise in agriculture, our Multi-Integrated Agriculture System helps all those interested Integrates to enjoy the benefits of the concept as passive income. This is the right time for initiating agriculture based projects as there is still sufficient agriculture land available amid a growing concern over food security. If we MISS this opportunity now, we may not have suitable land for cultivation. Further delay in our part will ultimately result in millions of acres of agricultural land going to Real Estate Industry, and wealthy individuals as dead land, causing irreparable damage to our future generation. Green Belt Welfare Society is an NGO formed in 2004 with an objective of protecting and developing environment through different green techniques. Since this Multi-Integrated Agriculture Concept will full-fill the part of Green Belt Welfare Society’s objective, Green Belt Welfare Society has agreed to promote and co-ordinate the project for the benefit of integrates and public at large. Green Belt Welfare Society agrees to take the moral responsibility on successful execution of the project in a profitable manner. For the betterment of the project, a ten member Project Monitoring Committe consisting of 5 members from The Integrates, 4 members from The Society and one memeber from The Company will be formed to represent The Integrates and to monitor the activities and progress of The Project. On a two third majority of The Integrats, the PMC is empowered to pass the resolution for replacing the project executing company.The Committee will also conduct periodical audit on progress of the project. Ø Cost of individual investment in engineering equipment. Ø Though it is possible to achieve Minimum 20 % profit as passive income on the intended contribution, 150% of profit is expected under normal condition. Ø Maximum return through minimum contribution. Ø High green home amenities, to get awareness on agriculture and other activities in and around the project site. 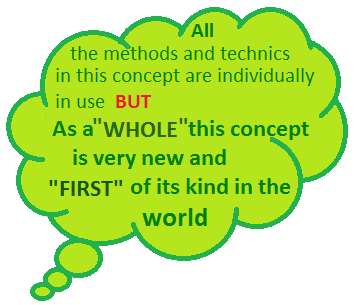 Ø Prospective integrated agriculture concept for the entire generation. Ø Products can be availed directly at a lesser cost. Ø High green home facility for better revenue generation. Ø Tax benefit on agriculture income. Since The Integrates are bound to use these assets only for the purpose of agriculture and related activities for a minimum period of 99 years and for accumulating a part of the profit earned to develop the same extent of land in future, we strongly believe that the project will multiply double fold at least every 15 years, by which the entire future generation of the integrates will be protected on affordability and availability of food. Not to mention, that global demand for agricultural products will be very high in the immediate future and India will play a dominant role in contributing to both global demand and supply. Agriculture will be more diversified, more scientific and won’t necessarily be confined to food crops. However, the path ahead is far from smooth and traversing this path requires constant determined efforts, vigilance and dedication. We are confident that this project will help achieve food affordability and wealth for integrates and for their generations to come. We are sure that your continuing commitment to the cause of agriculture will be an inspiration for us while it will give you unmatched satisfaction of leaving behind something for your generations to cherish and enjoy.